Pop quiz, entrepreneurs. When someone writes a negative review of your website, which of the following actions should you take immediately? A) retaliate and write a blistering attack on the reviewer’s comments B) hire a private investigator to discredit the reviewer C) scrub the Internet of all trace of the review. Of course, D) none of the above is of the right answer. Sharp business owners know that bad reviews hold the keys to figuring out how to do things better and to making customers happy. Instead of running from criticism, managing it so that it becomes of greater value is a far more advantageous course to travel. 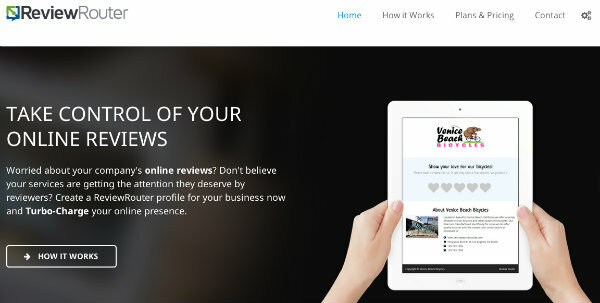 ReviewRouter looks to put business owners on the right track for success by taking control of online reviews. Not only do email alerts enable account holders to respond promptly to reviews, but this web application provides tools that encourage customer feedback. 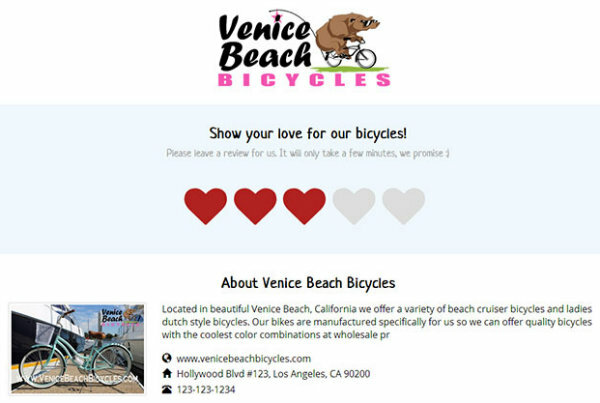 After setting up a profile quickly, website owners can add customized widgets that prompt visitors to write reviews – star ratings, written responses, and more – directly onto their ReviewRouter profile page. ReviewRouter also directs guests to an unlimited number of a business’s listing pages on sites such as Yelp, Google+, Citysearch, Twitter, and Tripadvisor, to leave ratings and reviews. At it’s heart, ReviewRouter is a proactive, online reputation management tool. Based on logic settings determined by the owner, ReviewRouter directs customers according to how they rate. For example, if someone leaves a one-star review, instead of sending this person to Yelp to broadcast discontent, they’ll be offered a feedback form to explain why they’re unhappy. A person who leaves three stars might be invited to listings pages and perhaps also shown a customized thank you message. This system gives business owners a chance to grow a positive online presence. They can respond to reviews as they see fit. Leaving a bad review visible and then demonstrating how great your company’s customer service is at addressing problems efficiently is a good strategy as well. The point is that ReviewRouter gives businesses greater control of their online reviews. With online activity continuing to shift toward mobile platforms, ReviewRouter’s feedback cards help company’s tap into this tremendous traffic and generate buzz. The feedback cards have QR codes that customers scan with their mobile phones, which sends then to a ReviewRouter profile page where they can rate and review a business. Currently ReviewRouter offers a free, 30-day trial period with any plan. Pricing begins afterward at $39.95 per month for managing one profile. Check here for more pricing information. ReviewRouter is accessible from all devices (laptops, phones, tablets, etc.). 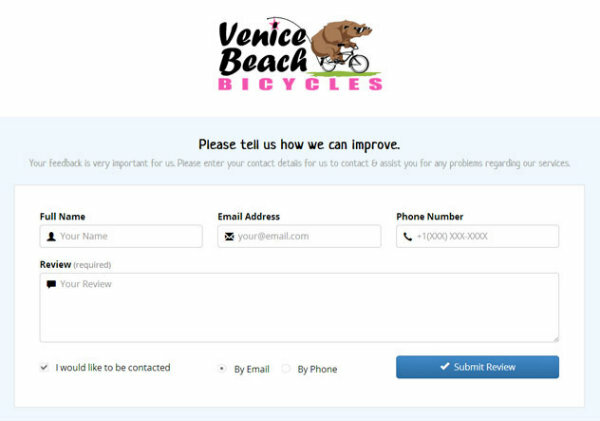 Use existing customer email addresses to send personal invitations to review your business and more. ReviewRouter strives to become the all-in-one solution for managing and improving online presence. For all the latest developments, visit ReviewRouter.com and visit the the company on Twitter and Facebook.